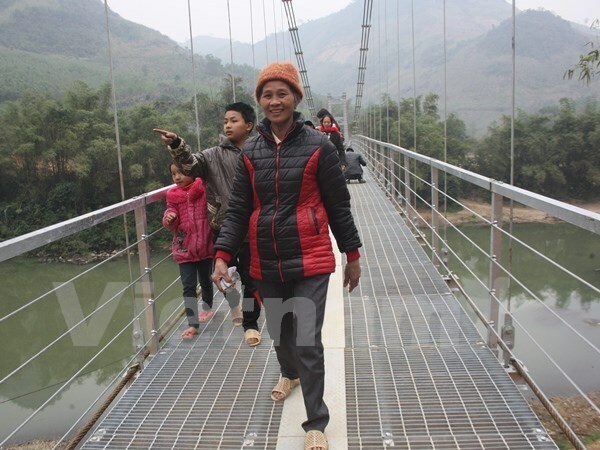 Dak Lak (VNA) – Nearly 500 bridges have been built across the Central Highlands, serving the travel of local ethnic minority groups, according to the Steering Committee for the Central Highlands Region. Since 2010, 493 bridges, including 25 suspension ones, have been built in the ethnic minority areas in regional provinces, at a total cost of more than one trillion VND (46.56 million USD) from different resources. From now to 2020, the Central Highland provinces aim to mobilise more than 980 billion VND (43.75 million USD) to build an additional 468 bridges, including 70 suspension ones to serve the locals’ production and living.